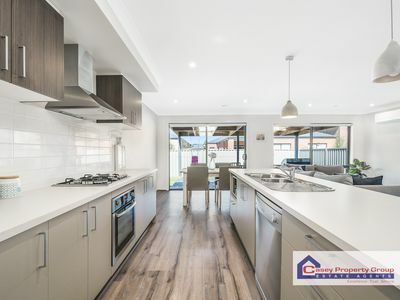 Located in the family focused community of Cranbourne East is this stunning home combining style, space and liveability. 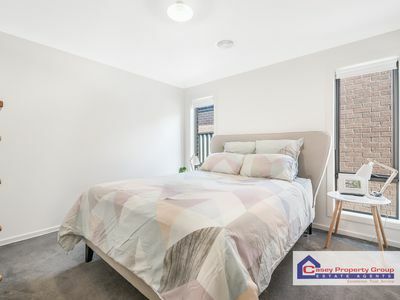 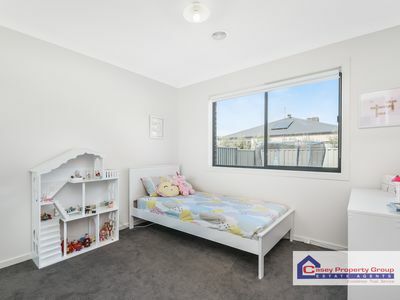 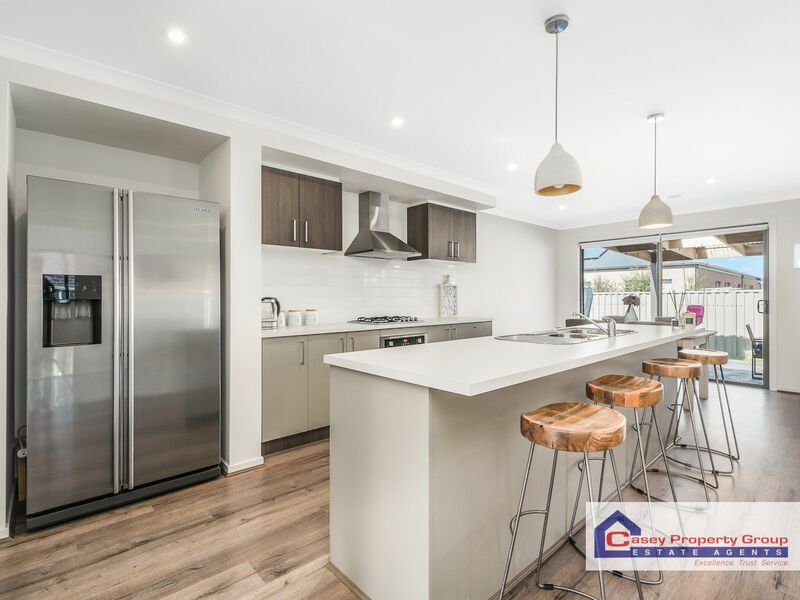 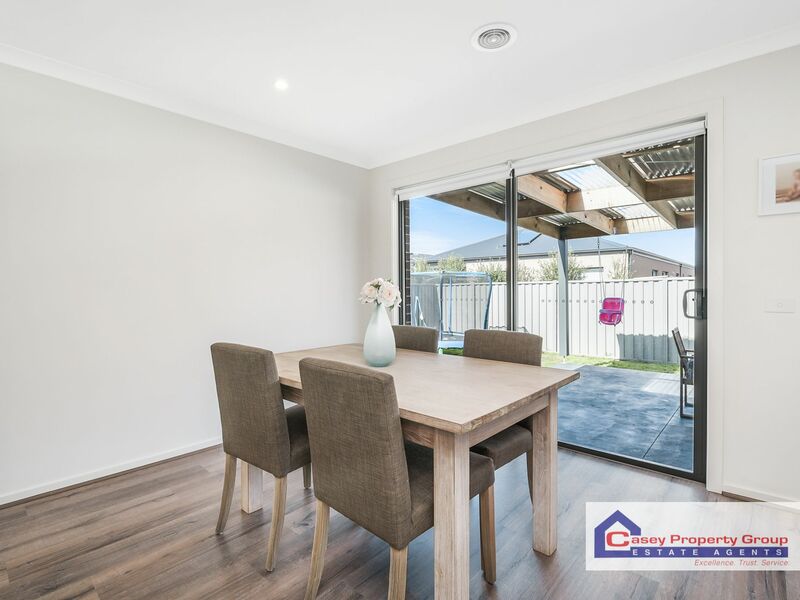 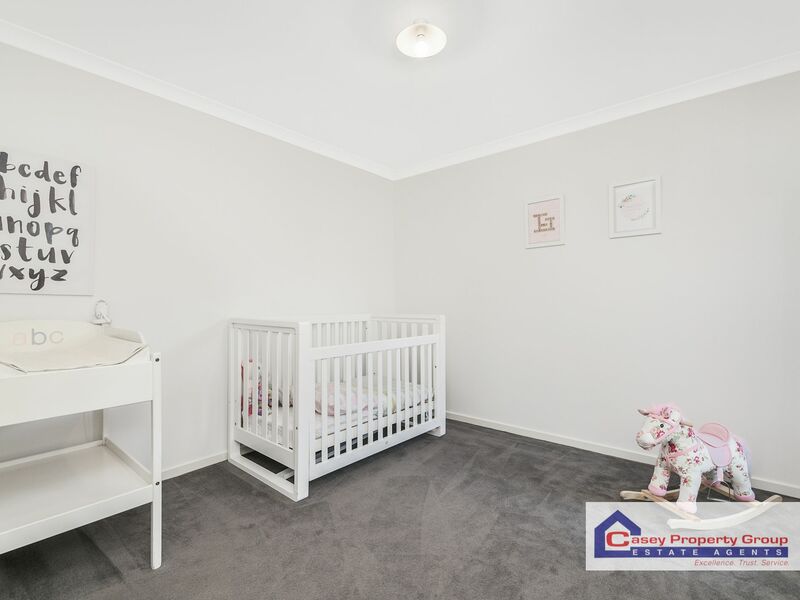 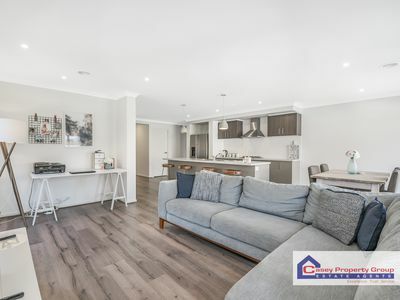 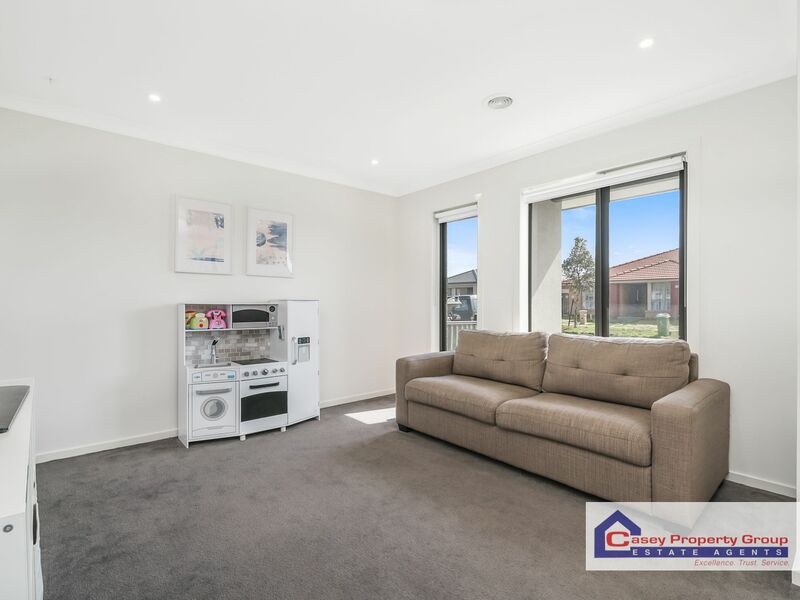 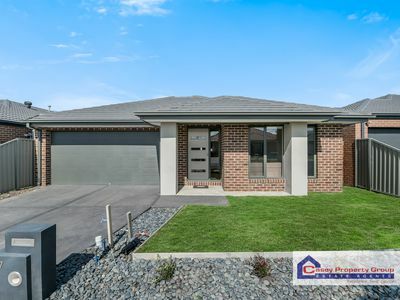 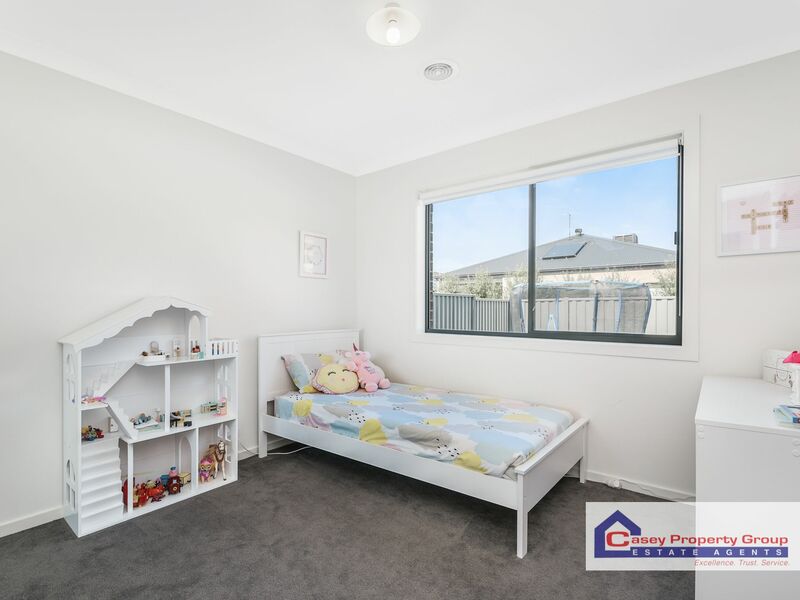 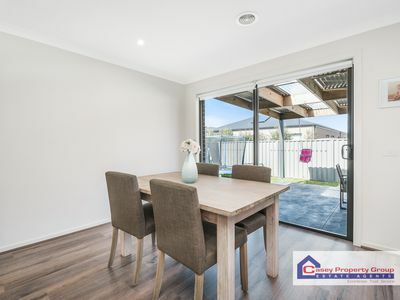 A short stroll to the wonderful sporting amenities of Casey Fields and only minutes to Cranbourne Primary School, Lighthouse Christian College and Casey Grammar School, Casey RACE recreation & Aquatic Centre and local shopping precincts like Pasadena, Selandra Rise and The Hunt Club. 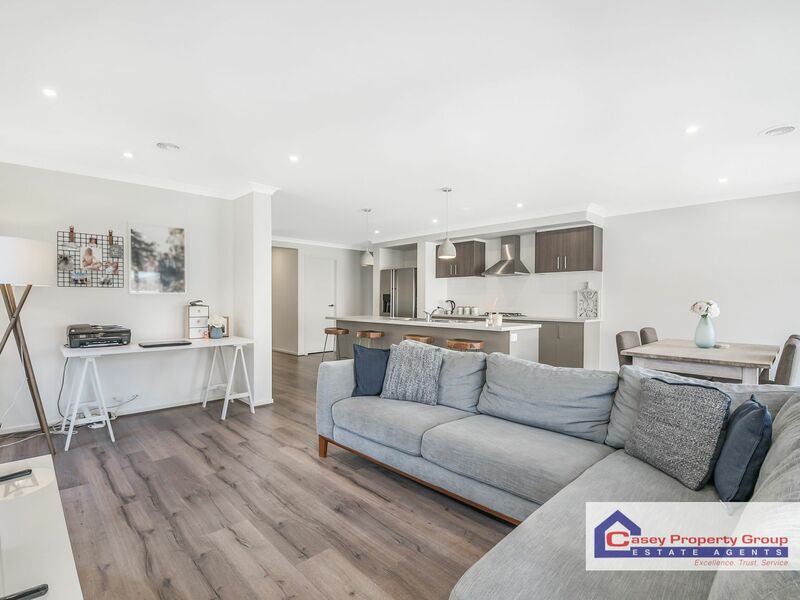 The beautifully style interiors pair a soft colour palette with timber style flooring to create an inviting feel throughout. 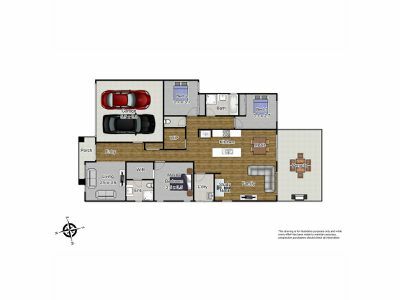 The heart of the home is an open plan living zone with kitchen, meals and family room as well as a convenient study nook. The well-appointed kitchen with large walk in pantry is well positioned to watch over the family both inside and out. At the front of the home is a second separate living room which provides zoned living and entertaining space. 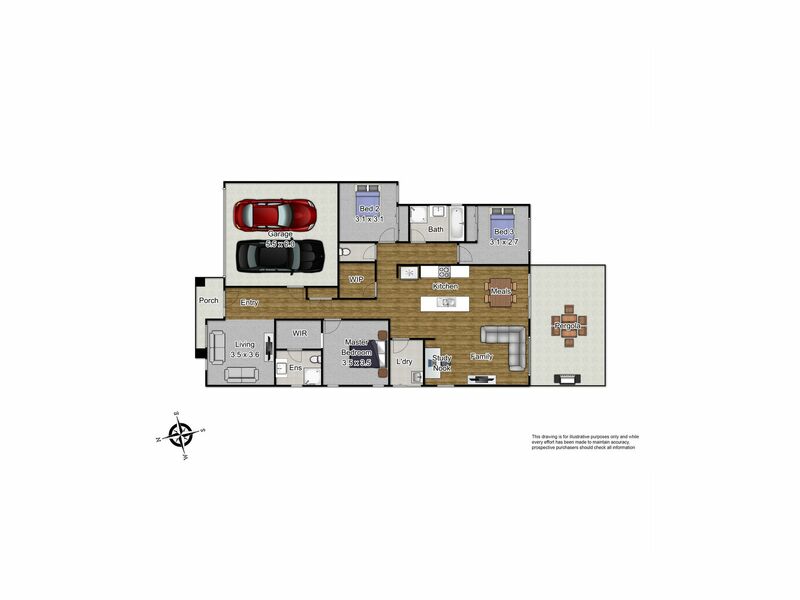 Also, on offer are three spacious bedrooms; a master suite with walk in robe and private ensuite plus two additional bedrooms with built in robes. 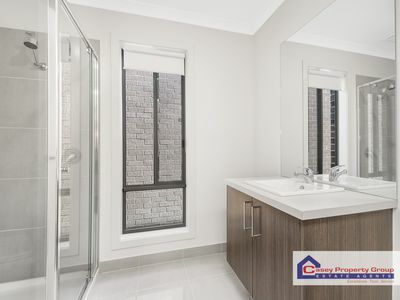 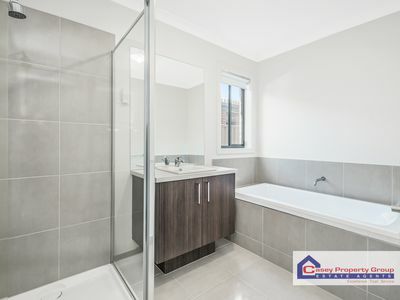 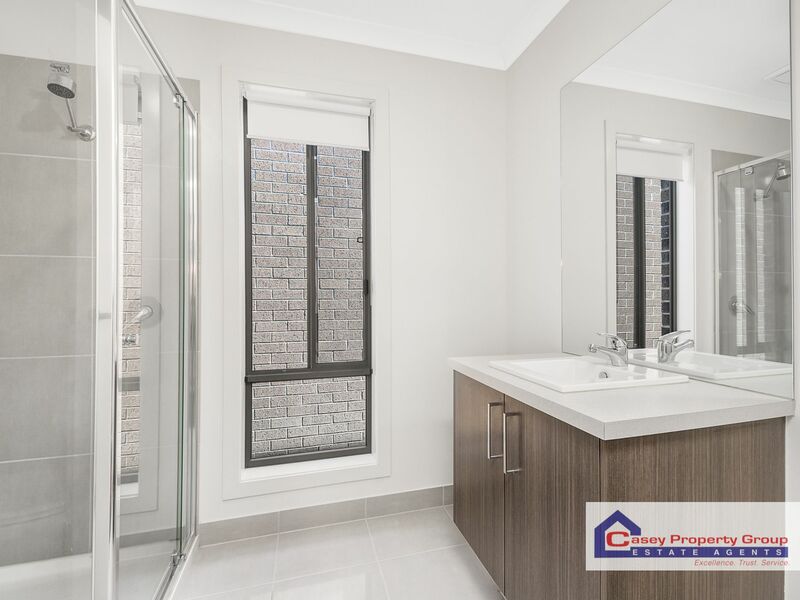 A central family bathroom, separate WC, laundry and double garage with handy internal access complete the layout. 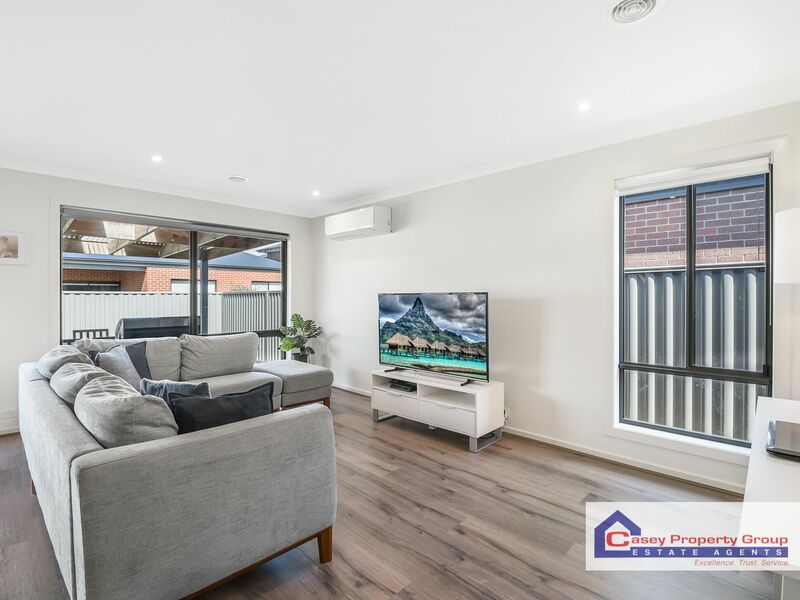 Further benefits include ducted heating, a reverse cycle air conditioner, downlights, feature pendants lights, plumbed fridge space, NBN and Foxtel connectivity. 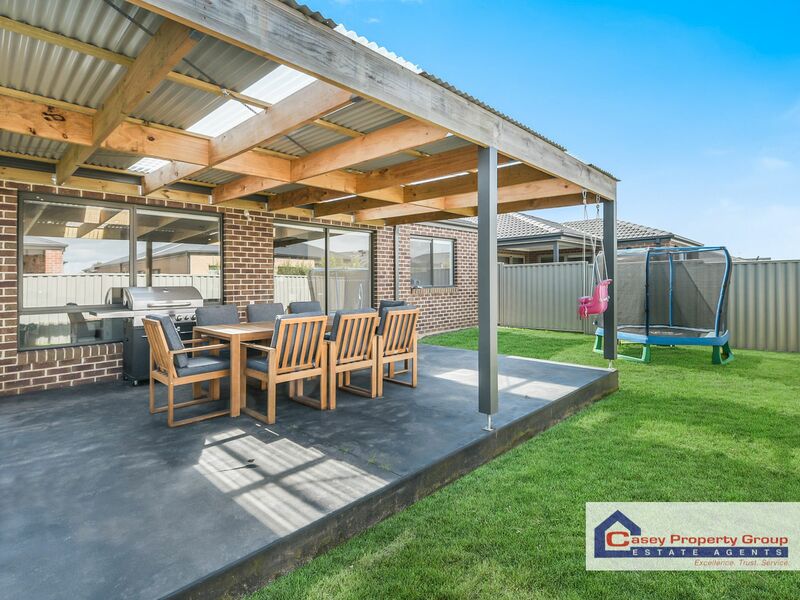 Spill outside onto the large patio with pergola over to enjoy the iconic Australian outdoor lifestyle. 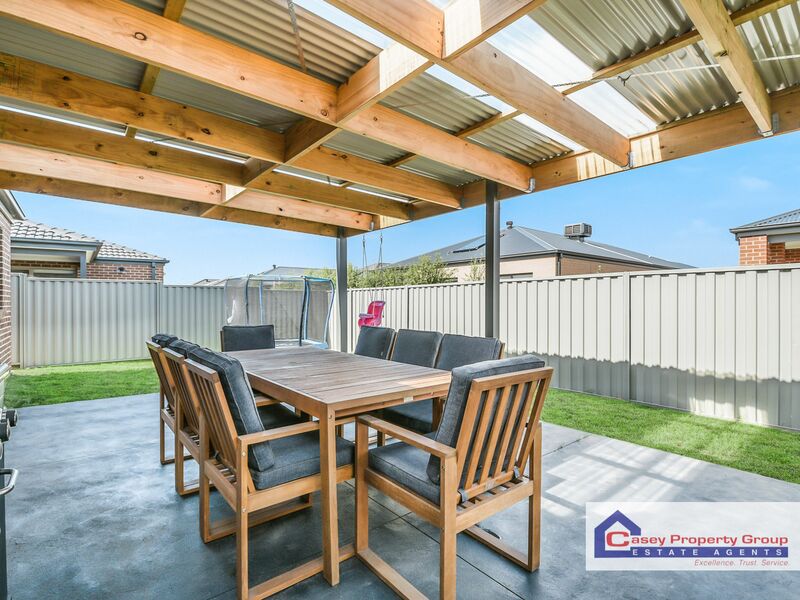 The flat grassed area of the backyard is also perfect for the kids to play and provides easy care outdoor surrounds for busy families. 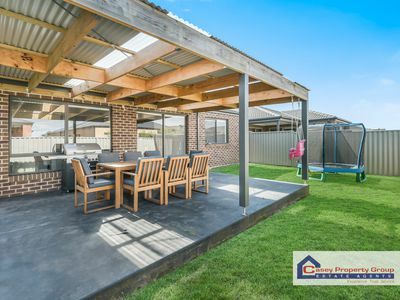 Inspect today and fall in love with this superb property and idyllic location that you could soon call home!